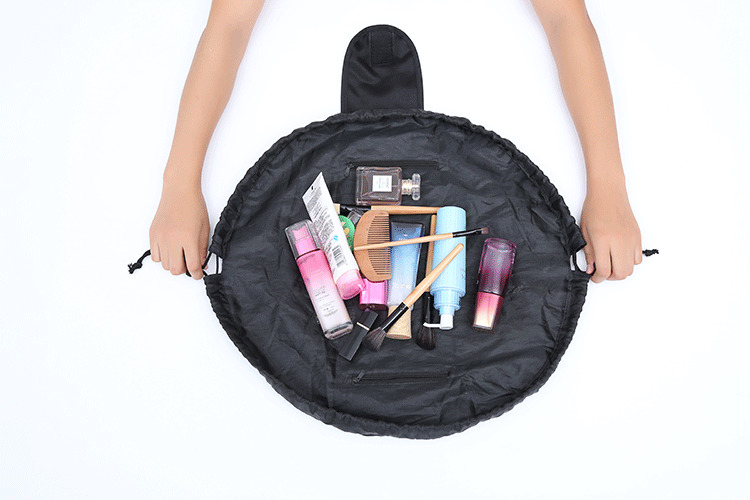 Pack all your cosmetics in seconds! This innovative bag is designed with convenience and speed in mind. Simply place all your desired belongings into the bag, pull the strings, and you're ready to go! Don't be fooled by the compact design, you'll be able to fit everything you need in the bag!